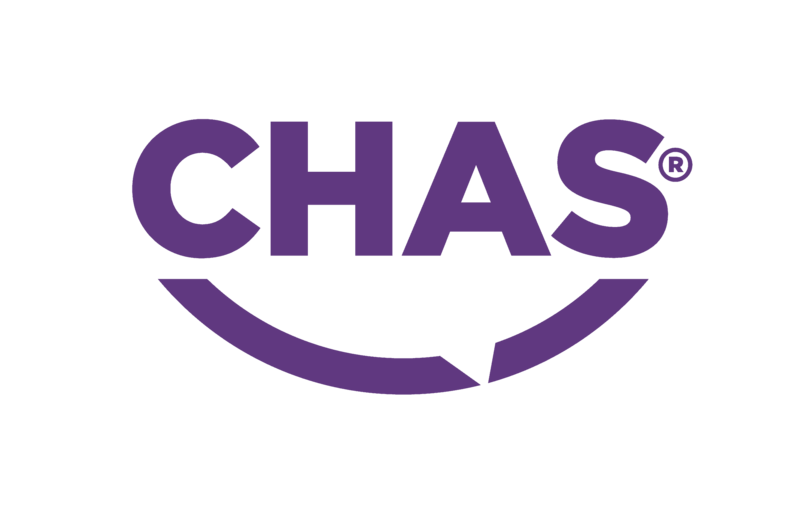 CHAS (The Contractors Health and Safety Assessment Scheme) accreditation was set up in 1997 to improve health and safety standards across the UK. 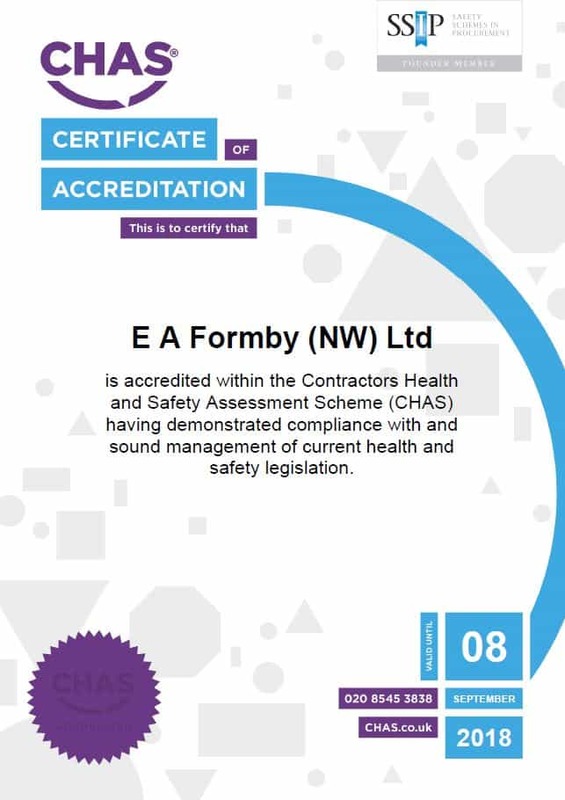 The team have worked hard to achieve this certification, as we believe that it is our responsibility to our customers to be up to date and compliant with health and safety standards, considering some of the equipment we use and the environment in which we work. We take care and pride in our work and we feel that this certification represents our commitment to our staff, customers and business partners alike. 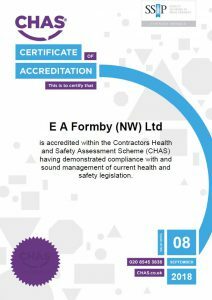 EA Formby (NW) Ltd is accredited within the Contractors Health and Safety Assessment Scheme (CHAS) having demonstrated compliance with and sound management of current health and safety legislation. EA Formby (NW) Ltd provide Commercial & Domestic Specialist Tree Services, Grounds Maintenance, Vegetation Management and Ecology Services, across the North West, Lancashire, Merseyside and North Wales, 12 months of the year. We provide a friendly, reliable, quality service, with all work fully insured and carried out to a very high standard, with 100% customer satisfaction guaranteed and all waste fully recycled. or use the Facebook Messenger or WhatsApp chat facility in the bottom right of your screen.